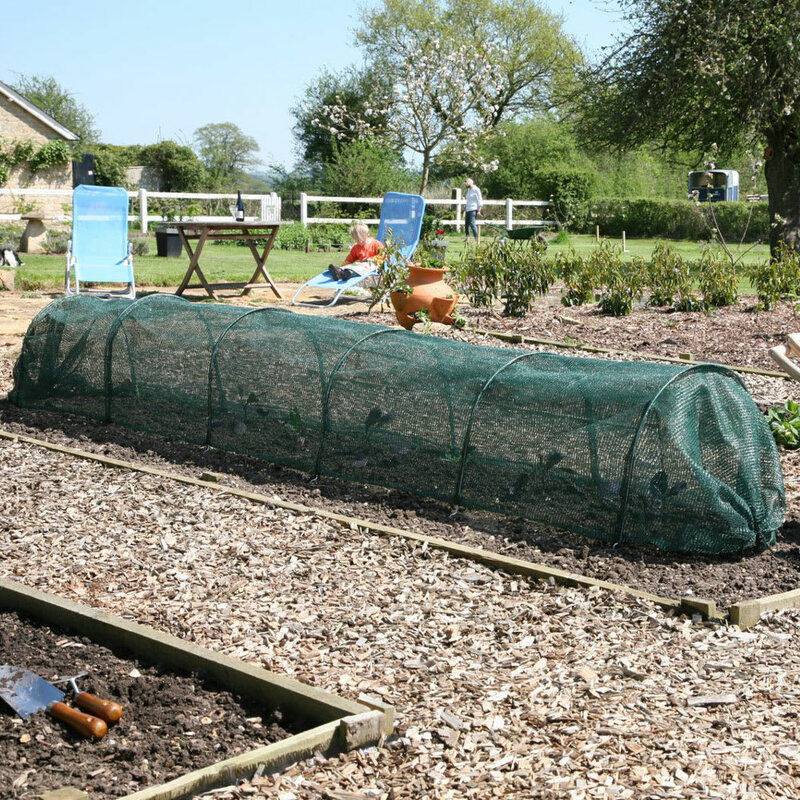 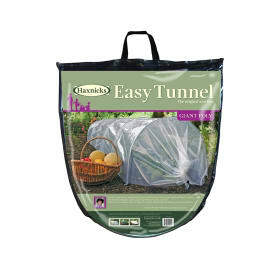 Easy Net Tunnels provide shading from strong sunlight and protection from insects, birds and other pests. 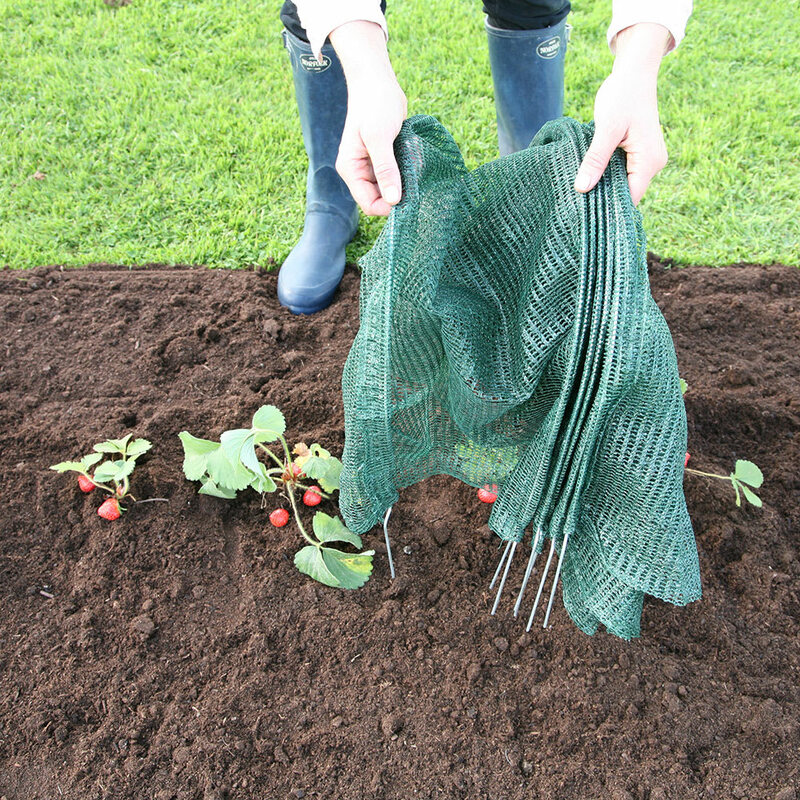 They also reduce the risk of drought by conserving moisture. Quite simply, Easy Net Tunnels are the most efficient form of crop protection available today. 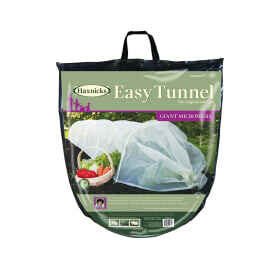 Length 3m (10ft) Height 45cm (1ft6") Width 60cm (2ft) . 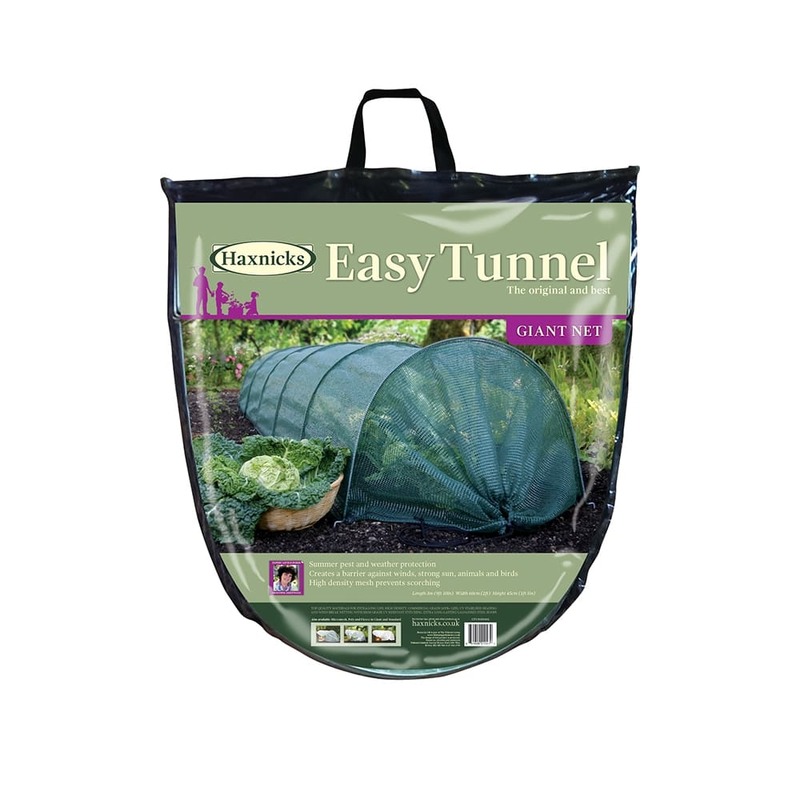 A drawstring allows gardeners to control ventilation in the tunnel by closing the ends, this also allows the full extent of the tunnel to be used, giving greater value for money. 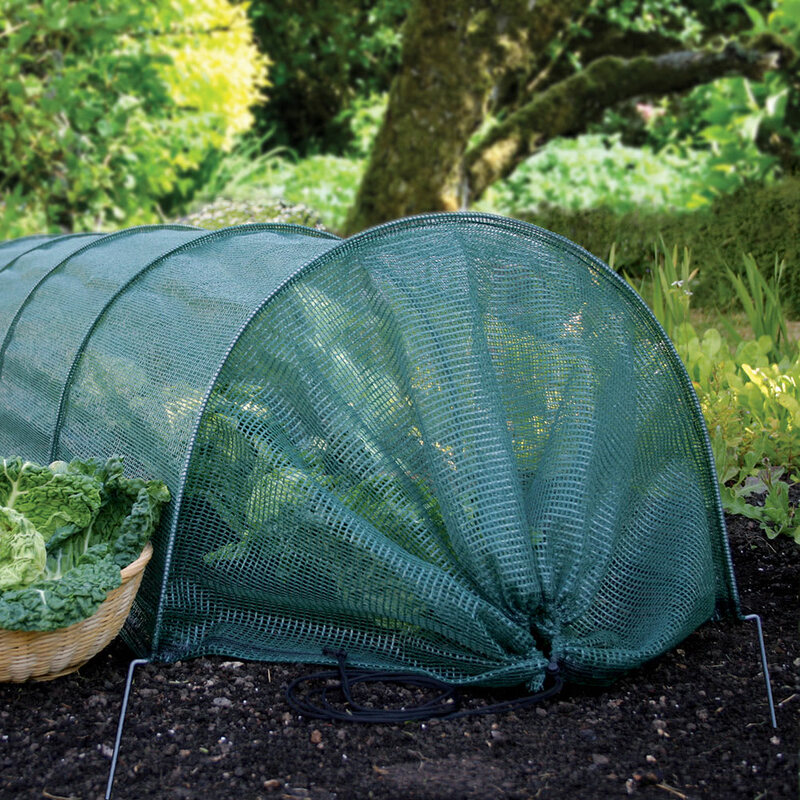 Helpful Haxnicks hint : Ideal for summer crops such as Cabbage, Carrot, Cauliflower, Lettuce, Onion and Strawberry.